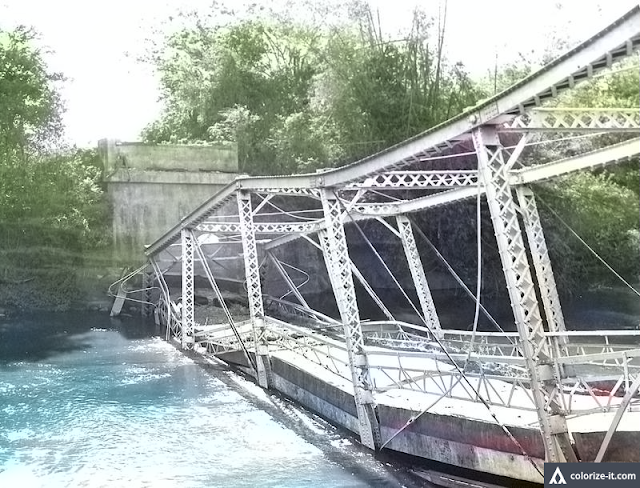 A bridge over Dacanlao River, Calaca, 1945. Image source: United States National Archives. Source: United States National Archives. The picture was colorized courtesy of Algorithmia.